Every day, deadly diseases mutate at a rate that far outpaces modern medicine. 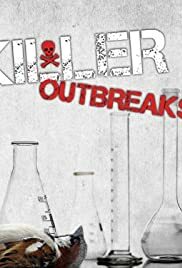 Watch as small town doctors at community hospitals, and top scientists at the CDC battle outbreaks such as West Nile, Monkey Pox, Anthrax, Valley Fever and Rabies in Killer Outbreaks. These determined men and women work together to uncover the source of mysterious illnesses in order to save lives and stop the devastation from becoming widespread.